So God retains a plan and purpose for the Jewish people, with whom He has not finished. The Bible presents Israel – the Jewish people – as God’s historical people, to reveal and bring about his salvific historical plan, fulfilled through an historical Jewish Messiah. Given how God has worked through history in this way, how then can he ditch his historical people so cavalierly? Such a position makes little sense in light of a biblical theology approach. 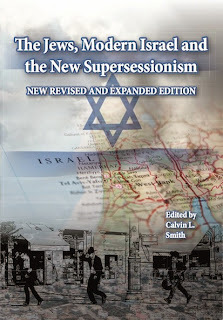 Thus, I think it is significant that throughout Church history even many thinkers, churchmen, theologians and others not coming from traditions necessarily sympathetic towards Israel nonetheless have expressed unease with a fully supercessionist approach, recognising that the Jewish people retain at least some continued theological significance. Actually, with a little digging one finds this view appear throughout the pages of Church history, and notwithstanding a real and shameful Church history of anti-Judaism and anti-Semitism, I do rather wonder if the supercessionist tradition has been rather over-egged by both zealous pro-Israel Christians keen to highlight the dangers of taking an alternative approach, as well as the equally zealous new strain of supercessionist – as opposed to the older, less politicised and less polemical variety – who for triumphalist reasons speak up their strength and history in order to portray themselves as part of the historical orthodox mainstream. I’m not convinced their numbers add up. Arguably, then, an approach focusing on the people allows us to disengage to a degree this issue from ownership of and what to do with the land. In short, the approach of “people, not land” presents a way to move the debate forward. Yes, I know, biblically ownership of the land is a central feature of God’s covenant with His people. But while in exile in Old Testament times, or under Roman occupation in the New Testament (when they were not in political control of the land), the Jews nonetheless still remained God’s chosen people. So while the land is a major biblical issue which cannot be ignored, nevertheless I believes it plays a subservient role to God's calling, election and covenant and covenant with the Jewish people. Surely, then, this offers a way of forwarding the current debate among Christians surrounding our various responses to the current Middle East conflict. By focusing on the election of the Jewish people rather than the land permits me to consider the possibility of exchanging some land for peace (though pragmatically I believe this wholly unrealistic at the present time, and indeed for the foreseeable future, as the Gaza pull-out demonstrated, even before the Israeli blockade). On the other hand, however, emphaising the view that God has not finished with the Jewish people, that their calling and God’s plan for them continue to exist (a view which has a long and respected tradition in Church history) will have a positive theological bearing on how Christians view the Jewish state. Thus by focusing on people rather than land we open the way for a more theologically nuanced approach to the Israel-Palestinian conflict, where we disengage modern Israel's politics and relationship with its Arab neighbours and population from a biblical focus on the house of Israel, that people with which God has an ongoing relationship. Thus, disengaging the issue of the people from the land, differentiating between God’s ongoing covenant with the Jews from the present Israeli secular democracy and political situation, frees up Christians to be more critical of the situation when Israel does wrong. In other words, rejecting supercessionism and holding to the view God has not finished with His people does not automatically translate into unbending, uncritical support for the State of Israel or prohibit the exchange of land for peace on theological grounds. It also does not mean one must take an “Israel right or wrong” position when it comes to the current conflict. After all, if biblical Israel sinned how can we maintain modern Israel does not? So for now, by emphasising “people, not land”, I am content to leave the land issue in God’s hands, not believing (as some Christians seem to) I somehow need to read myself into a biblical prophecy role aimed at restoring the land to Israel and so influencing politics and lobbying governments to achieve this aim. God’s sovereignty is much greater than that, than me, and whether we are pre-, post or a- millennial, Reformed or dispensational, pro-Israel or pro-Palestinian Christians, it seems to me there is at least one thing we can agree on: God’s sovereignty is such that His will and plans will be brought about in his own time, regardless of human activity or agency which either seeks to assist or oppose Him.. Phase 2: Two peoples, not one? So having focused for a while on “people, not land”, I’m ready to begin developing a possible second theological approach towards the Israel-Palestinian conflict, encapsulated in the phrase, “two peoples, not one”. (I also have a third phase already developed for later discussion). In short, I want to explore how God views the Arab people and what this might bring to the table for Christians debating the Israel-Palestinian conflict. Please note my aim here is simply to outline an idea I first encountered as a child through my father, a churchman and thoughtful Bible teacher. Neither is it a particularly unique view in various Christian circles – including among some Christians Zionists – though I’m unaware of it yet being developed academically and biblically (if you know different, please do let me know). If it transpires there is merit in the approach it will, of course, need to be developed and critiqued through a conference paper and journal article or two. Part 2 to follow within the next few days. "11Therefore, remember that formerly you who are Gentiles by birth and called "uncircumcised" by those who call themselves "the circumcision" (that done in the body by the hands of men)— 12remember that at that time you were separate from Christ, excluded from citizenship in Israel and foreigners to the covenants of the promise, without hope and without God in the world. 13But now in Christ Jesus you who once were far away have been brought near through the blood of Christ. 19Consequently, you are no longer foreigners and aliens, but fellow citizens with God's people and members of God's household, 20built on the foundation of the apostles and prophets, with Christ Jesus himself as the chief cornerstone. 21In him the whole building is joined together and rises to become a holy temple in the Lord. 22And in him you too are being built together to become a dwelling in which God lives by his Spirit." It is so hard for humans to take a balanced approach on anything in general....I speak from hard learnt experience. I constantly marvel at the pendulum swing from one extreme to another, on practically any subject, with both extremes fueling and exaggerating the other. Bi-polar extremist views tend to have an intimate symbiotic relationship. Thanks Stuart. Andrew, it would be helpful to accompany large quotations of Scripture with comment relating it to the post, otherwise it means little to some readers. You have obviosuly written a lot Calvin and I felt that to do it justice would require a detailed response taking a lot of time. A short pithy reply from me might not do it justice, so I thought it better just to quote a short passage from Ephesians. I think land is important according to God's promises and that the Christian Palestinian community has a legitimate claim to it as a continuous resident people representing 'Israel' from the time of Christ. The early community was strongly Jewish, later assimilated by many Arabs, now bringing in Messianic Jews. However, who rules the land is not important, only the right of residence in a mixed community. Soulen makes the distinction between Israel and the nations in God's plan. If the desire is to allow Jews their own symbols of culture, such as food, language, dance, music, dress etc. than I don't see how anyone can object as any other nation can have their own symbols of culture also. If though we believe that God has two people and two communities then I don't think that is in line with Paul's teaching. Incidentally, the Jewish rooted gospel of Christ has transformed Gentile culture for the good. Thanks for elaborating. Yes, commenting on a blog can be tedious because space doesn't permit sufficient development. That's why I try to stick to discussing one issue at a time. Anyway, about your two points. This is a common dualism in Scripture, whether Jews and Gentiles, Israel and the Nations, and (as I want to explore in Part 2) two nations descended from Abraham. We can discuss this further when I upload Part 2. However, concerning your view that two peoples is not a Pauline concept (hence presumably why you quoted Ephesians 2), I think more nuance is needed here. Paul is referring to believing Jews and Gentiles coming together in Christ (2:16-18) to form the New Man. Once in Christ, there is indeed no difference between Jew and Gentile, or for that matter men and women, slave or free (Gal 3:28 and parallels). But that in no way proscribes a covenant with two different peoples in the OT, or the fact that one people usually ignored by the wider Christian world can't draw on that OT covenant as a source of encouragement in the current conflict. On an aside here (seeing as you mentioned identity), the creation of the New Man does raise issues concerning competing Christian and other identities, including how one juggles the identities of being an Arab or Jew and a Christian. Concerning Messianic Jews, I do think some pro-Israel Christians have elevated their fellow Jewish believers on a pedestal, which goes against Paul's theology of the New Man. But that is not to deny separate identities (just as becoming one in Christ means one is no less a man or a woman, so we ought not to expect Jews to ditch their Jewish identity, insofar as it remains Tenach-driven rather than rabbinic). Tangentially again, this whole issue raises all sorts of questions about Messianic Jews' relationship with the Church, and I am uneasy with an overemphasis on a bilateral ecclesiology (such as that posited by some TOM-Js) if its outworking leads to two distinct congregations never in fellowship (which to me seems to go directly against what Paul emphasises in Gal 3:28 and Ephesians 2). I would have thought an emphasis on people rather than land would be seen as a way forward for further discussion for those of you taking a strong anti-Christian Zionist line. I am surprised, then, you maintain the centrality of the land issue. Actually, you raise a valid point about continuous existence in the land (we can discuss that at some time), but given your view the land remains important theologically, I would just say this: just as pro-Palestinian Christians argue against Christian and Jewish Zionism by saying it is God's land and no one has an automatic right to it, this argument - if true - goes both ways, so that no one has a right to it by birth, inhabiting it for centuries or whatever. I don't believe that dualism is the ultimate goal of God, but instead he is bringing all things together under Christ. Soulen speaks of the consummation of all creation through Israel, something I would agree with if Israel is understood as now being the church, but Soulen understands it differently. Is unrepentent Judah still in covenant with God? A difficult question, but a response of yes is as problematic as no. Soulen identifies the claim of punitive supercessionism, where God is considered to have rejected Israel and is now punishing the Jews. But there could equally be a punitive non-supercessionism where God is punishing the Jews because of a continued covenant relationship in disobedience under the curse of the Mosaic law. My own view is to see disobedient Jews and Israelites as legally divorced from the Old Mosaic Covenant, but still loved on account of the Patriarchs, this from an understanding of the message of Hosea. Do you believe it is possible for God to divorce Israel, but still love them ? I need to do a detailed study on the blessing of Abraham Gen 12, the covenant of Abraham Gen 15, and the covenant through Moses, and how these apply today. I would suggest the blessing of Abraham is now fulfulled in the church through Christ. The covenant of Abraham Gen 15 is being worked out through the church in the land of Israel/Palestine, the Mosiac Law has been fulfilled in Christ and the curse of the law abolished with the law now written on the hearts of Christians. As for land, I believe that we cannot spiritualise theology until it has no material significance - that way lies gnosticism. So I see Gen 15 fulfilled literally, but through Christ and the Jewish/Gentile church. My main concern is directed towards upholding the gospel against perceived error and to speak for Palestinian Christians. I perceive though Soulen's emphasis on a separate people of Israel that are in covenant with God apart from Christ as a move away from the evangelical gospel as a sort of dual covenant theology. So that is some of my thinking. I've maintained for a while Soulen is an important contribution to this issue. Thanks for giving us insight into some of your thinking on the issue.